Friday Wrap-Up – News from Fredericton Poutine Fest, BarNone, Unfiltered, Breton, Tatamagouche and much more! • Last Saturday’s third annual Fredericton Poutine Festival was yet another success, with close to 500 people showing up between the two sessions. The event had sold out very quickly after tickets went on sale last August, and with ~25 beers, ciders and mead pouring from 11 different breweries, and more than 12 types of poutine being served from four establishments, bellies were full and happy by the end of it all! The Doghut Canteen took home the Best of the Fest award for the second year in a row, thanks to various styles of poutine featuring donair meat and sauce. Organizer Lloyd Chambers has confirmed that they are planning another event soon, with a tentative date of Saturday, April 2nd. Look for this Poutine Festival to feature beer garden-style seating, all new varieties of poutine, and even more varieties of craft beer… stay tuned! 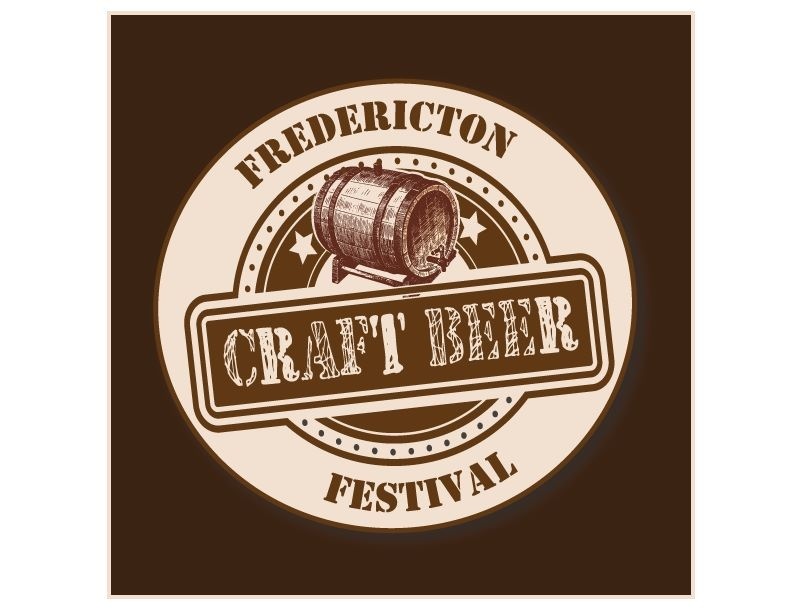 Finally, a reminder that tickets for the 2016 Fredericton Craft Beer Festival just went on sale; with two sessions (afternoon and evening) this time around, and several days of events leading up to the festival, it’ll likely sell out even faster than last year, so don’t wait… in fact, 250 tickets were sold today in the first five minutes after going on sale! For more info, check out yesterday’s post. • BarNone will soon be releasing a new beer to select bars and restaurants in PEI. The Big O is a SMaSH (single-malt and single-hop) beer that features 100% organic 2-row base malt and Galaxy, an Australian hop variety that provides lots of tropical fruit characteristics. With plenty of late additions of this hop in this brew, expect this light-coloured ale to be extremely aromatic and flavourful, without much in the way of accompanying bitterness. It comes in at a very-drinkable 5% ABV, and should be hitting taps soon. Also, note that BarNone will continue to offer growlers at the Charlottetown Farmers Market every Saturday. Look for future iterations of The Big O to feature different hop varieties, with Vic Secret possibly following soon. • There’s a new beer launching today at Unfiltered in Halifax, and it’s a big one. Flat Black Jesus is described as an American-style stout that has been brewed with locally-harvested wet hops, and further dry-hopped with several “new” Australian hop varieties. Brewed back in September, it was one of the Maritime beers featured at Toronto’s Cask Days, but the local version was further conditioned on oak until its release. With an ABV of 7%, and 100+ calculated IBUs, this jet-black beer is not for the faint of heart (but really, were you expecting any less?). Look for it at the brewery for growler fills starting at noon today, and on tap shortly. • Also releasing today at noon is Breton Brewing’s fourth core beer, Red Coat Irish Red Ale. Featuring Pilsner and a touch of Roasted malt for colour and aroma, this 5% ABV Red Ale comes in at 25 IBUs for a nice balance to the toast and malt flavours and aromas. Look for it on tap at the brewery today, and at their accounts this weekend. • There’s lots going on at Tatamagouche Brewing these days! Their latest specialty brew is out today: Smorter, a S’mores-inspired porter! This 6.5% ABV porter was brewed with the addition of chocolate malt, cinnamon sticks, graham crackers, and molasses right in the mash tun. During the boil, more cinnamon, as well as honey and vanilla beans, was also added. After the boil, the wort travelled through a hop back loaded with local Willamette hops. To further S’more it up, the beer was conditioned with additional vanilla beans. From brewer Christiane Jost, “A beer reminiscent of a summer’s night bonfire, but high enough in alcohol to help you forget it’s not.” Smorter is available today at the brewery in growler fills and cans, and on tap around the province shortly. • Coming next week from Tata is another special brew, Full Circle. This American Wheat was brewed with a special visitor/collaborator in the brewery, Ceilidh Sutherland. A native of Tatamagouche, Ceilidh is co-owner of Halifax’s Field Guide restaurant, specializing in locally-sourced and -inspired plates. The beer features local Cascade hops from Northport’s Wymsykal Farms in both the mash and through a hopback, and Huell Melon and Mandarina Bavaria hops at the end of the boil for citrus aromatics. The 4.9% Full Circle will be released next Thursday, December 3rd, and will be making its debut during a Tata Tap Takeover at Field Guide, and subsequently in kegs, growlers and cans. • And finally in Tata news, their Deception Bay IPA is back on tap and cans at the brewery today. The Silver Medal winning IPA at this year’s ACBAs, it is brewed with Frontenac Organic Pilsner Malt, bittered with Magnum, and late-hopped with Citra, Huell Melon and Mandarina Bavaria, for more juicy flavour and aromas. And they brewed up their next seasonal this week, Maple Squash Ale. Look for it to be released mid-December. • The end of November also marks the end of Movember, the hairiest month of the year. That also means that Quidi Vidi’s extremely popular Fogtown Lager will soon be no more. But fear not, YYT beer fans, as they will be releasing the last 35 dozen of the beer this Saturday at 1pm. They’ll also be hosting the end-of-month Mo’ judging Sunday afternoon at 2pm, complete with live music, food, and of course, beer! And there are plenty of prizes and perks left to be won by those who donate and/or raise a few mo’ bucks for the cause… check out their Movember page for more details. Congratulations to QV, the top-raising brewery world-wide! This week also saw the release of Quid Vidi’s Christmas seasonal, Mummer’s Brew. Named after the practice of dressing up and visiting friends and neighbours, to sing, tell stories, or jokes, this Amber Ale weighs in at 5% ABV; it should be available at the brewery now. • Gahan Halifax has a pair of new brews on tap this week at their waterfront location. First up is a Gingerbread Beer. Light in alcohol, at 4.3%, the beer features lots of cinnamon, ginger, and clove character, reminiscent of the popular baked goods. Lightly hopped to 35 IBUs, it works especially well in a glass with a cinnamon/sugar rim! Also on tap is an English Mild. Served at a medium-low carbonation, as it would be across the pond, this is a malt forward beer with a great roast character, and supremely sessionable at 3.7% ABV. A higher bitterness, around 50 IBUs, helps to keep you wanting more. Both beers are also available to take home in growlers, along with Gahan’s other locally- and Island-brewed offerings. • The Pump House has re-released their Schwarzbier, a German-style Black Lager. While black in colour, traditional Schwarzbiers are brewed to have only subtle hints of chocolate and coffee, with a clean finish to make the very drinkable. The Pump House beer comes in higher than most beers in this style, at 7.5% ABV. It’s currently on tap at the brewpub in Moncton, and is available at all four ANBL growler stations this weekend. • Speaking of beer re-releases, Boxing Rock U-889 is back again! This popular Russian Imperial Stout is big and bold, featuring over 600 kg of malt, a two hour boil, and plenty of hops to help balance all that sweetness. In addition, 22 gallons of “strong, cold-brewed coffee” from Just Us! Coffee Roasters Co-op was thrown in, along with 20 pounds of Madagascar Bourbon vanilla beans, for over two weeks. The result? An 8.89% ABV, 65 IBUs black monster of a beer, with lots of coffee, chocolate, vanilla, and caramel aromas and flavours. As the brewery aptly puts it, think of it as a “dessert in a glass”. Available now in 650 mL bottles at the brewery, all four private stores in Halifax, and select bars and restaurants. As always, supplies are limited, so pick it up while you can! • Bulwark Cider will be releasing their latest product late next week. Their Oak-Aged Cider is 7% ABV, starting from a clean base of Annapolis Valley apples, and aged on American oak for six months. The wood added some toast, vanilla, and caramel-like qualities, without any residual sugar to the dry cider. The cider is packaged in clear 750 mL flip-top bottles, with a beautiful etching designed by Meredith Bangay, and voted on by the public at Stillwell during Nocturne. This very limited run will be only available at the NSLC, with one sole keg available at Stillwell in the near future. We also have a bit of information some of Bulwark’s future releases. Making a return, will be their Ice Apple cider (previously named Northern Compass), a higher ABV cider, as well as the very popular Sour Cherry cider, that was released in the summer. We’ll fill you in when they become available! • AB-InBev has announced that they will be brewing once again in their Keith’s Brewery Market/Lower Water Street location in the new year. The brewery space, which has not produced beer for several years, will be undergoing major brewery upgrades, to the tune of $1.5M, and the hiring of a new brewmaster for the location. Due to customer demand, and perhaps feeling the heat from the expansion of local craft breweries (both in number and market share), they are promising to produce “small-batch, innovative brews” in this location, available at local bars and the NSLC. At their planned 2,000 hectolitre capacity, this would certainly put them on the big side of “small”. The new facility should be putting out beer in mid-Spring 2016. 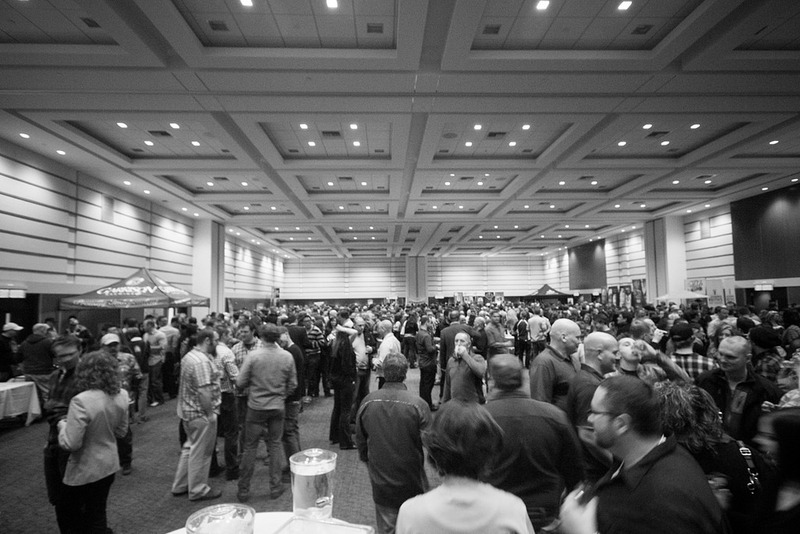 • Tickets for the 2016 Saint John Beer Fest are now on sale. As always, they expect to have plenty of craft beer available to sample, along with options for food to purchase from local establishments, and live entertainment throughout the festival. Once again taking place within the atrium of Market Square, the festival is scheduled for Saturday, April 16th. There are two ticket options: general admission from 7:30-9:30 pm for $63.96 per ticket, and a VIP ticket for $74.52, which gets you in at 7 pm to sample some “limited specialty brews”. We’ll have more info on the Fest for you as it gets closer! Have a fantastic weekend! If you’re in the Moncton area tonight, the Moncton Beer League still has some tickets left for their Flights ‘n Bites: Whisky & Beer Edition; taking place at the Alma City Club from 7-10 pm, there will be several pairings of various scotch and whiskies, Pump House beer, and food items. If you’re in Sackville, be sure to drop by your ANBL growler station this weekend, as Flying Boats will have a small amount of their Dixie Clipper IPA pouring once one of the taps is freed up; look for that to occur around Saturday or Sunday. Maybee Brewing has officially brewed their first batch of beer (their American Amber, Roseway Red) on their new DME system; those of you in Fredericton can expect to see it on tap and in cans sometime in December, around their official launch. Upstreet Brewing‘s bottled beer (Commons, Do-Gooder, and Rhuby Social) are now available for purchase outside of the brewery, at select PEILCC locations. And a reminder that Garrison’s Spruce Beer will be released today at the brewery, and tomorrow at NSLC stores. And to celebrate they are tapping casks of it and their Winter Warmer (along with mulled cider and hot chocolate) tomorrow beginning at 11am at the brewery, with all proceeds going to the Christmas Daddies Charity. Can you give us a little background on how you first decided to create the FCBF? The idea for the event first came about over the sharing of several beers with Doug Williams (owner of the King Street Ale House). After talking about what we’d like to see in a beer festival, I went home and immediately created a Facebook page. It took off like crazy, with the event selling out before we even had our first brewery confirmed! Things have definitely changed since then, as we now have a full slate of breweries confirmed to be attending, before the actual ticket launch. Can you give us an idea about what to expect from this year’s festival? What has changed, what has stayed the same, etc. As in past years, the festival will continue to strongly focus on craft beer brewed in Atlantic Canada. We hope to have all 20 breweries from New Brunswick attending, plus at least 9 more from PEI and Nova Scotia; as you can see, the majority of breweries present will be from our region. For the third straight year, the event will be held at the Fredericton Convention Centre, which is a perfect fit for us. It really is the best venue in the city, in terms of both size and service. A lot has changed, however. This is the first year that we will be holding an afternoon session on Saturday, along with the evening session. With about 1000 tickets for each session, more people will be able to attend overall, with slightly less in the evening than previous years. And while we’ll have about 45 different breweries attending (similar to last year’s event), there will be slightly fewer beers, ciders and meads overall (~170 vs. 200 last year); we’re looking for quality over quantity, which will mean more local craft products, as opposed to the big brands. What are the options for tickets for both festival sessions? The afternoon session will take place from 2:00 – 4:30 pm, and will include a custom tasting glass and unlimited 4 oz samples. The regular admission for the evening session includes the same, and takes place from 7:00 – 9:30 pm. As usual, there will also be a limited number – 200 – of VIP tickets for sale, for the evening session only. These allow early admission at 6:00 pm, and include a different tasting glass. Regular tickets are $55 + fee, while VIP tickets are $65 + fee. We will also be offering a Designated Driver option, where admission is $15 + fee (must be purchased with a regular or VIP ticket) and includes unlimited non-alcoholic beverages. Tell us what you have planned for the days leading up to the festival. • March 8th (Tuesday) will kick off the week with a Rock, Paper, Scissors tournament at the KSAH; this one will be pay-as-you-drink, with a $5 winner-takes-all entry into the tournament. There will also be several cask ales from Garrison Brewing available. • On Wednesday, the Crowne Plaza will be putting on their “Offaly Good Evening of Food and Craft Beer” from 7:00 – 10:00 pm, which will feature five courses of “lesser known cuts” from various all-New Brunswick-raised produce. Each course will be served with a different 12-oz craft beer; tickets are $70 + tax and gratuity. • A tap-takeover from Garrison Brewing at the King Street Ale House will happen on Thursday night. No charge to attend (just pay-as-you-drink); with up to 24 different beers pouring, this could possibly be the largest-ever tap takeover in the province. • There will be a couple of private events for brewers only, as a “thank you” for attending the festival and other events through the week. Right now we’re looking at a meet-and-greet Friday night, followed by a Brewers Brunch at the KSAH Saturday morning before the festival sessions begin. • On Sunday morning, we’ll be holding “Down the Keg”, a short 3 km run, leaving from the KSAH, to help burn off the calories put on over the preceding days! Following this, there will be a Brewers Jazz Brunch (open to the public) at the KSAH (to add some calories back on). More events will be announced as we confirm them, including something in the works at Grimross Brewing, and a special event hosted by Andrew Estabrooks. We’re hoping to have everything basically set in stone by the beginning of the New Year. We also plan on offering a Beer Passport for the week, which will act as basically an event guide. You’ll earn stamps for each event that you attend, which you can collect to enter into draws to win some cool prizes. Do you currently have any sponsors lined up? We’re putting some extra energy in attracting sponsors this year, with a “sponsor structure” that goes through different levels, from “growler”, to “keg”, to “barrel”. Founding sponsors King Street Ale House and Massive Graphics are returning this year, and Investors Group is a barrel sponsor. We should be announcing a presenting sponsor sometime in the near future. Also, the Crowne Plaza is the official hotel of the festival; they offer reduced rates for festival-goers every year. Sounds like everything is shaping up nicely! Anything you’d like to add? We’re already looking forward to March! Thanks to Lloyd for answering our questions and giving us a taste of what’s to come. Keep following FCBF on social media for more updates, as well as this blog, as we’ll be sure to post more on the fest as the dates get closer. Remember that tickets to the festival go on sale tomorrow at 11 am; be sure to get yours early, as they sold out quite quickly last year! Friday Wrap-Up – News from Mama’s Pub, Picaroons, Battery Park, Pump House, Garrison, PEI Brewing, and more! G’day! Along with your weekly dose of regional beer news comes the announcement of yet another new brewery in Atlantic Canada. Let’s get to it! • Fredericton will soon be seeing the launch of the city’s very first brewpub, as Mama’s Pub (a local establishment that has been operating on Fredericton’s North Side for 23 years) plans to start brewing on a 2 BBL (~225 L) system in the near future. Manager Ryan Kingston will be the brewer, and has developed several “flagship beer” recipes with the help of brewer/consultant Andrew ‘Esty’ Estabrooks. They plan on launching their first three beers – an American Pale Ale, Brown Ale, and Session IPA – by Christmas, with Estabrooks staying on as consultant to see the brewery through its initial developing stages. All beers will be available on tap at Mama’s only, with four seasonal rotating beers to follow in 2016. Plans currently include growler fills onsite sometime in the future, and there will be 15 other taps in addition to the Mama’s beers. We’ll have a Q&A posted in the near future; stay tuned! • Picaroons has announced future plans to open a brewery and retail space in downtown St. Stephen. Located at 5 King St., the establishment will be in collaboration with an “experienced chef”, who will run a co-joined but separately-operated brewpub. Still in the development phase, the current working name is The Five Kings. We’ll have more details in the future as they become available! • We also have details on the opening date plans for Battery Park Beer Bar in Dartmouth. This joint venture between Brooklyn Warehouse and North Brewing will be opening their doors December 10th. Why December 10th? Owner Leo Christakos is a board member of the Slow Food NS association, and their annual Terra Madre Day is on that date, celebrating the founding of Slow Food in 1989. The Terra Madre initiative is a celebration of local food (including beer) through community events, including meals, festivals, workshops and more. BPBB’s opening will be a culmination of their months of preparation, and so it is fitting to hold it on that date. They will be pouring several new beers and current favourites, both brewed onsite and at North’s Agricola Street location. As the exact timing and beer details are announced, we’ll be sure to share them. And drop by North today after noon to pick up a bottle of Two, the beer brewed in celebration of Stillwell’s second anniversary. • Moncton’s Pump House Brewery has released the 2015 edition of their Stonefire Ale. It was brewed using the Steinbier technique, which involves heating the wort not by heating a kettle, but by super-heating rocks to 700C and dropping them directly into the wort. This leads to lots of sugar caramelization, and even a faint hint of smokiness in the final product. The bitterness of the beer is very low, under 10 IBUs, leaving lots of room for the 6.5% ABV, with the beer coming through slightly sweet. It is widely available at the ANBL in bottles now. Pump House has also brought back their Bière de Garde seasonal, a 6.5% ABV amber beer with Belgian yeast character spiciness, and balancing hop bitterness from Chinook and Golding. • Garrison Brewing is coming to Sackville, New Brunswick in the form of a massive tap-takeover at Ducky’s Bar! Starting tomorrow, November 21st, at 7 pm, there will be 18 taps pouring various Garrison beers, many of which are special releases such as Not So Gentle Tickle IPA, Double Jack Imperial Pumpkin Ale, 3 Fields Harvest, Sweet Rye’d Harvest Wheat Ale, and their Proud Rose-Mary, the “Gastronome IPA” normally exclusive to the harbourstone sea grill & pour house in Halifax. There is no cover charge, but if you purchase a ticket for $10, you will receive a specially-branded Belgian-style glass and five 5 oz drink tickets; sign up in advance at the bar, and you get an additional two drink tickets. Those with the branded glass will be able to purchase additional 5 oz pours for the special price of $2.25. • In additional Garrison news, their seasonal Winter Warmer is back, starting today. Just in time for colder temperatures, this 7% ABV dark beer is perfect for sipping, and, new this year, is available in 6-packs, perfect for sharing (or not!). And next Saturday, the 28th, will see the launch of this year’s Spruce Beer, with a cask of both the Spruce Beer and Winter Warmer, as well as mulled cider, on at the brewery. • PEI Brewing Co. has officially set the date for this year’s Transmitter Coffee Stout release. A delicious beer that was brewed in collaboration with local Receiver Coffee Co., last year’s batch featured plenty of roasted coffee flavour and aroma, and was more than worth the Herculean task of getting the wax off the bottle cap! The 750 mL bottles will be available for purchase at the brewery starting at 5 pm next Tuesday (November 24th); there will be live music from Dave Woodside until 7pm, and both PEIBC brewers and Receiver employees will be on hand to answer questions about the beer and coffee (with samples of both available for sampling). Like last year’s batch, supplies will be limited, so load up while you have the chance! And for you procrastinators, there are still a few bottles available of Hell Street, their barrel-aged Doppelbock, at both the brewery and PEILCC. • The seasonal beer re-release news doesn’t stop there, as Propeller‘s very popular Russian Imperial Stout, Revolution, is back for another year. Already in bottles and on tap at their Halifax and Dartmouth brewery shops, it will also be popping up soon at NSLC stores in the next few weeks. This dark, strong (8% ABV), complex ale features plenty of roasted and chocolate notes, along with a smooth, warming finish from the higher alcohol. For the first time, it will also be available at select ANBL locations by early 2016. • Big Spruce has just released Gimme Simcoe, the latest in the “Gimme” line of single-hop Pale Ales, with Bar Stillwell as conspirators. Weighing in at 5.0% ABV, this light-bodied brew showcases the Simcoe hop, added especially late in the process to magnify the hop’s aroma and flavour over bitterness. On tap now at the brewery, and shortly at Stillwell and elsewhere in our region. And one final reminder, entry forms for the Home Brew Challenge are due via email Nov 23rd, and beers must be submitted to the brewery, or the Halifax drop-point, no later than Friday the 27th. • The Nook and Cranny in Truro has a new beer on tap at the pub. Their first dark beer is a 4.7% ABV Milk Stout, brewed on-site on their SmartBrew system. Smooth-drinking, with a bit of roast and sweetness, it should be a great beer for the cooler months. Like the rest of their beers, it’s currently available at the pub for pints and growler fills. • The Ladies Beer League is holding a Holiday Brunch at Stillwell on December 6th. The party starts at noon with the launching of the Boxing Rock/Big Spruce collaboration Triskaidekaphobia, plus some great brunch food from Chef Graeme Ruppel, including Eggs Benedict, Frittata, and Biscuits & Gravy. Tickets are $32.40, and include food and first pour of Tris, and LBL members receive a $5 discount. Doors open at 4pm to the public. That’s it for this week! If you’re in Charlottetown, BarNone‘s award-winning Black IPA, Black Eye P.A., has returned; you can find it on tap at Baba’s Lounge and The Old Triangle. And another award-winning beer, La Buckdjeuve from Petit-Sault, is currently pouring at all four ANBL growler stations, is available in bottles at the brewery now and in select ANBL locations starting next week (if you don’t see it, ask for it! ), for a limited time only. Grimross has re-released their Maritime Amber Ale, a 5.6% ABV beer hopped towards the British side of the spectrum (earthy instead of fruity/citrusy). Finally, tomorrow is the third annual Fredericton Poutine Festival; the sold-out event will feature 11 breweries pouring approximately 25 different different beers, ciders and mead, served with unlimited samples of over 12 different styles of poutine! Hope to see you there!